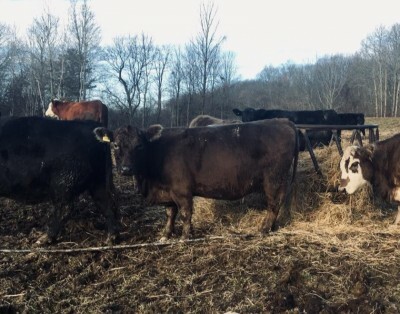 Winter is a challenging time to feed the beef herd. Mud, cold and snow or rain can stress your cows and increase their nutritional needs. Mike Baker, Cornell University's Beef Cattle Specialist reviewed the nutritional needs of the beef cow, how the environmental conditions impact feeding, and how the stages pregnancy affects her needs. Nancy Glazier, Small Farms and Livestock Specialist with the NWNY Team will discuss sampling procedures for nutrient analyses to know what you feed. The fundamentals of feeding the cow were covered. Here are the handouts from the workshop that was held February 12, 2019.